As opposed to wood siding which is fastened tightly, vinyl siding is hung from nails through horizontal slots to allow for expansion and contraction during temperature changes. If installed too tightly, this can cause buckling. On the other hand, too loose will be noisy during windy days. Vinyl siding must overlap by about an inch where panels meet. Their panels are larger than wooden counterparts, which reduces installation time but makes overlaps highly visible if installed improperly. Vinyl siding is less likely than wood to trap and retain moisture, but only if installed properly. Flashing and housewrap or builder's felt should be hung under it. 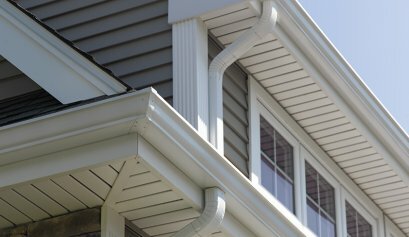 The maintenance professionals of Beach Vacation Services are trained in installing, repairing and upgrading all different types of vinyl siding. With a stellar 78% return on investment, it's one of the smartest upgrades you can make to your residence. Call us today to get started on maximizing your property's value!